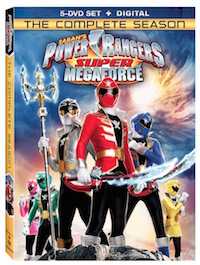 Relive every action-packed adventure when Power Rangers Megaforce: The Complete Season and Power Rangers Super Megaforce: The Complete Season arrive on DVD (plus Digital HD) on August 16 from Lionsgate. 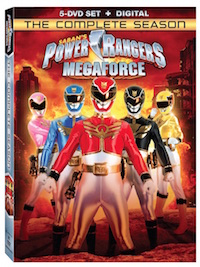 Five teenagers with attitude use their unique skills to battle evil and ultimately save the world in these top-rated seasons. So what did we love about these seasons? Well if you never watched Power Rangers let me tell you as a mom I love the fact my boys can watch "action" without all the gore! There is not guts or blood or anything like that.